Adults often know that they should avoid a lot of added salt in their diets, and in fact, are sometimes on salt restriction diets because of health problems, especially high blood pressure. Eating salt is often thought to be less of a problem for kids though, as many parents assume that their kids don't have a lot of salt in their diets. This is only true if you don't add much salt to the foods that you cook. 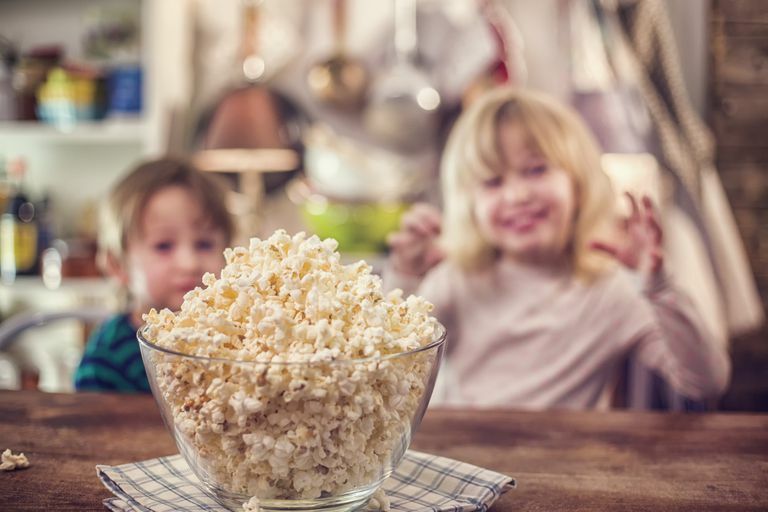 Keep in mind that many of the processed and prepared foods that are popular with parents and kids — usually because they are quick and easy — are often loaded with salt. Some of the Oscar Meyer Lunchables, for example, can have up to 1440mg of sodium per serving. Some studies have reported that children with low-salt diets may avoid high blood pressure as adults. And maybe even more importantly, salt intake has been linked to childhood obesity, as kids with high-salt diets have been reported to drink a lot of high-sugar, high-calorie drinks, which increases their risk for obesity. Of course, any foods to which you add table salt (sodium chloride) will be high in salt. This is just a partial list, but reviewing it and then getting in the habit of reading food labels can help you spot other foods high in salt. As you can now see, high-salt items are typically many canned foods (especially soups), cold cuts, snack foods, and fast food. Even a slice of white bread can have up to 230 mg of salt, which means that if you aren't careful, a sandwich can quickly add up to more than half of your daily recommended intake for salt once you add in two slices of bread, luncheon meat, cheese, and some mustard or mayo. Most kids don't actually need a low-salt diet. Instead, they need a normal salt diet, learning to avoid too many foods that are high in salt and instead eat a healthy diet with a variety of foods. Most kids get too much salt in their diet though. The American Heart Association does recommend that kids, like adults, should not get more than 1500mg of sodium a day. In general, if you simply don't add extra salt to the foods you prepare and your child eats and avoids a lot of the foods high in salt, then you shouldn't have to worry about your child's salt intake. Also, check food labels to look for lower sodium versions of foods, which can sometimes mean simply choosing a different brand of the same food, eating more whole foods and fewer processed and packaged foods, and eating more fresh fruits and vegetables. Keep in mind that like adults, kids can develop a taste or preference for salty foods. That makes it important to avoid salty foods and not add extra salt to foods when your child first begins eating solids as an infant and toddler. And if you are concerned about your child's salt intake, especially if he is overweight, then look for more foods that are low in salt, with less than 140mg of salt per serving. Although people often use the words salt and sodium interchangeably, they are different. Salt is actually made up of sodium chloride (NaCl). One teaspoon of salt (3g) equals about 1200mg of sodium, and it is the mg of sodium that you will see on a food's nutrition label. High salt intake, its origins, its economic impact, and its effect on blood pressure. Roberts WC - Am J Cardiol - 1-DEC-2001; 88(11): 1338-46. IOM 2004 Dietary Reference Intakes: Electrolytes and Water. USDA National Nutrient Database for Standard Reference, Release 18. Sodium, Na (mg) Content of Selected Foods per Common Measure, sorted by nutrient content. Salt Intake Is Related to Soft Drink Consumption in Children and Adolescents: A Link to Obesity? Feng J. He, Naomi M. Marrero, and Graham A. MacGregor. Hypertension. 2008;51:629-634.